I'm up against this problem. I necessarily need to have more shipping methods based on type (normal or fast) and weight. One customer puts in cart two products from two different sellers. The customer goes to the checkout and see properly shipments based on weight. 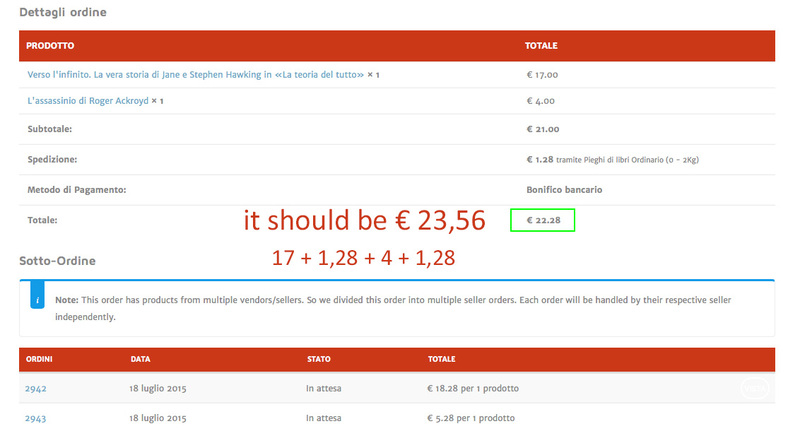 Assuming we finish the order, everything is correct because I get two separate orders with two shipping charges. 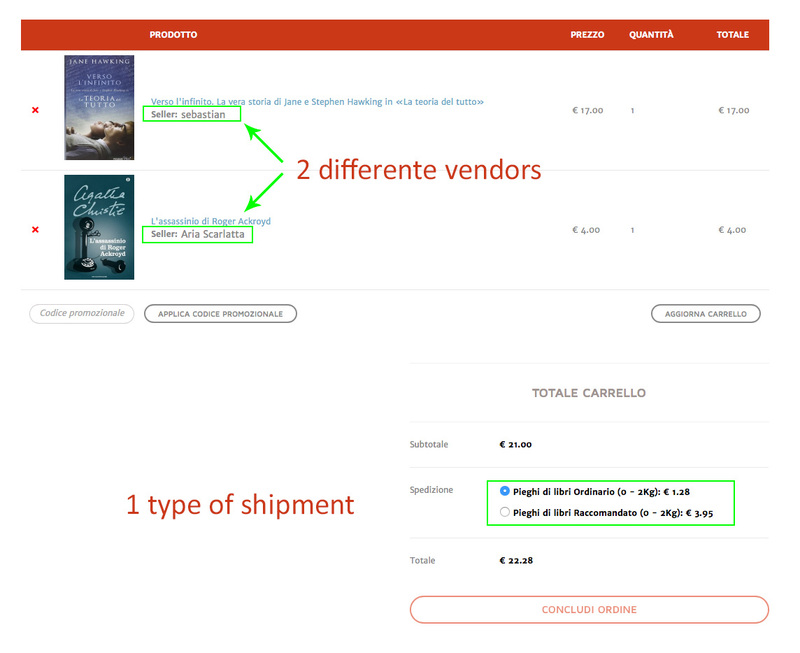 But it is not certain that the customers in these two orders use the same type of shipment because the products can have different weight or because the customer wants a normal delivery for one order and speedy delivery for other. In our dokan shipping system there is no option to set weight base shipping but if any product has weight then you can override the shipping cost for that product. You can charge more for that product because it has weight. You can increase the additional cost for that product. With a view to automate the process and improve the UX is not the right choice for me. And then there is a way to prohibit to buy from multiple sellers? At this point it is very important for me. If you are using Paypal adaptive payment then you can use Chained payment system. In chained payment you can force user to purchase from only one seller. But that if he chooses PayPal. And if the customer chooses another method of payment? You have to customize the plugin file to get this feature for others payment gateway. You will get those code in Dokan/inlcudes/order-function.php file. The topic ‘[Dokan plugin] Problem with the shipping coast’ is closed to new replies.